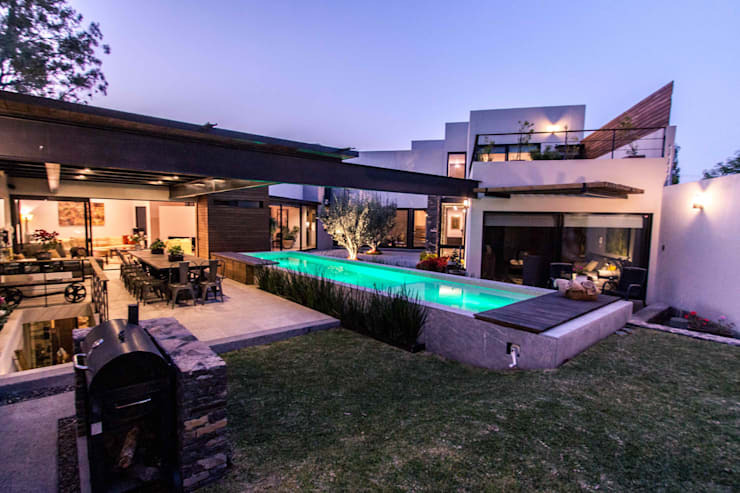 Our tour today takes us to Mexico, where a remarkable contemporary stylish villa awaits us! The beautiful home designed by the creative team at Loyola Architects celebrates a fusion design, where colonial meets classic, creating an exceptionally sophisticated residence. This magnificent house has all the elements of comfort and design, with generous space, plenty of light and the excellent use of fine crafted materials to add the finishing touch. The villa is an inspirational design from the elegant exterior to the luxurious interior, with each aspect well planned. Let's move in for a closer look! This main façade has a contemporary and geometric design, which is undeniably modern. Simple, neutral shades of white, light wood and dark stone have been utilised in this decorative inspiration, making the exterior and street view of the home welcoming and attractive. Yet, the perfectly placed exterior lights create a striking and eye-catching perspective of this villa, making it a truly beautiful sight! The intimately lit kitchen is stylish in every sense of the word, and with a slightly rustic touch, this culinary space combines modern appliances and classic features to achieve functionality and elegance. 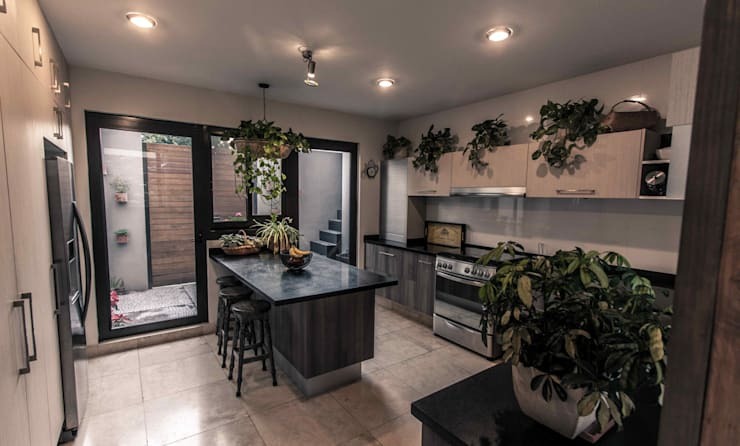 Ever thought about including a garden inside your kitchen? Well, this may be the perfect way to safely grow all your favourite herbs, by adding an abundance of pot plants throughout your kitchen. This will add a green element to your decor, while creating an in-house garden! This wonderful gourmet cooking space is any foodies dream! The neutral shades of the wooden cabinets makes this kitchen cosy, while the addition of the useful centre island is perfect for preparing meals and serving guests. 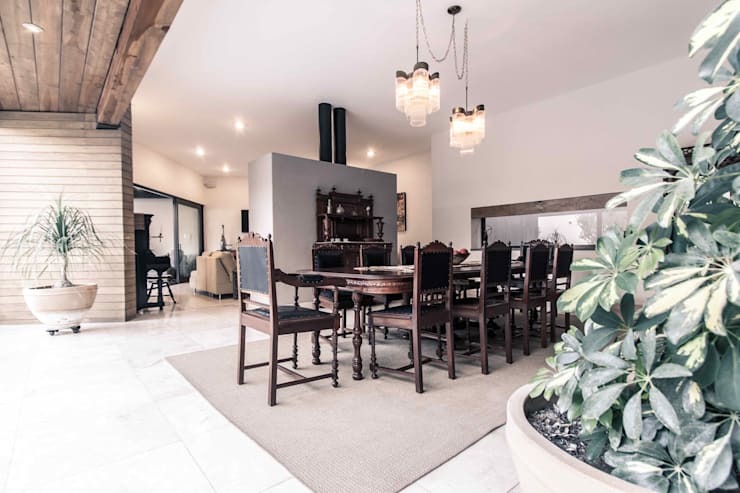 In keeping with the rustic element already in this home, the dining room is a fabulous mix of dark wood and fantastic chandeliers, creating a soft lighting effect, while the neutral toned walls and rug complete this designer look. This room has a classic yet nostalgic design, one that is celebrated through the colonial inspired dining room table and intricately detailed chairs. Think about the fantastic theme parties that can be enjoyed here? Or how about a family meal on a Sunday evening? On the opposite end of the beautiful dining room is the elegant living room, a space that is cosy, comfortable and delightfully decorated in warm tones of brown and grey. Making this elegant room even more amazing is the fireplace, generating a necessary warmth on those cold winter evenings. The addition of large relaxing sofas and a warming colour scheme, completes and complements this cosy and comforting living room perfectly! We are nearly at the end of our fantastic home tour, but there is still so much to see and appreciate! 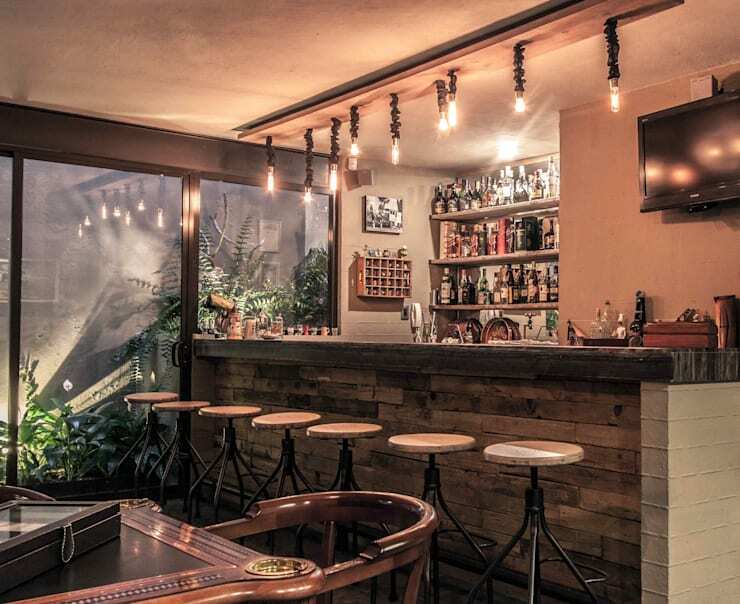 This fantastic bar area located on the terrace of this beautiful villa adds a surprising space to unwind. Having a few friends over for drinks has never been this easy! The elegantly lit bar area has a large counter with space for a few close friends, a TV, so you won't miss that game and even a wine cellar, so you never run out of stock! We end our tour today with a final view of the home. This image effortlessly captures the most interesting parts of the villa, from the elegant dining room to the sensational swimming pool and even the garden. Who would've guessed that so many secrets and surprises are held within this villa? It's gracious and spacious in every way! Having a barbeque with loved ones and enjoying the cool blue water on a hot summers day… now that is excellence! If you liked this Ideabook by homify 360, then how about reading this one too? 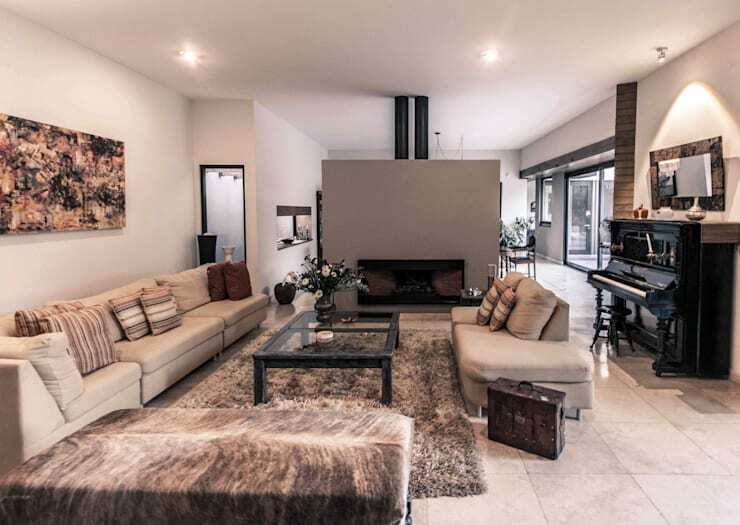 Check out: The Elegant Family Home in the Suburbs.